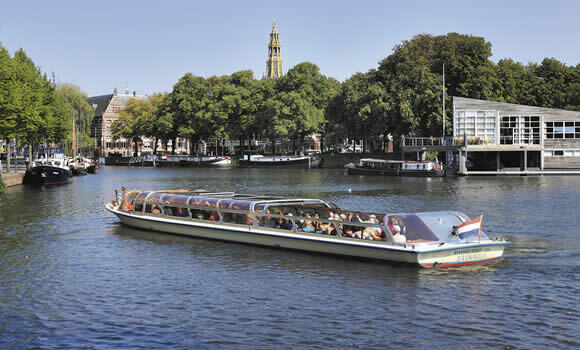 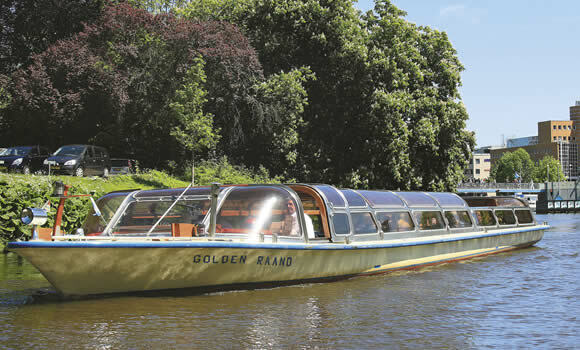 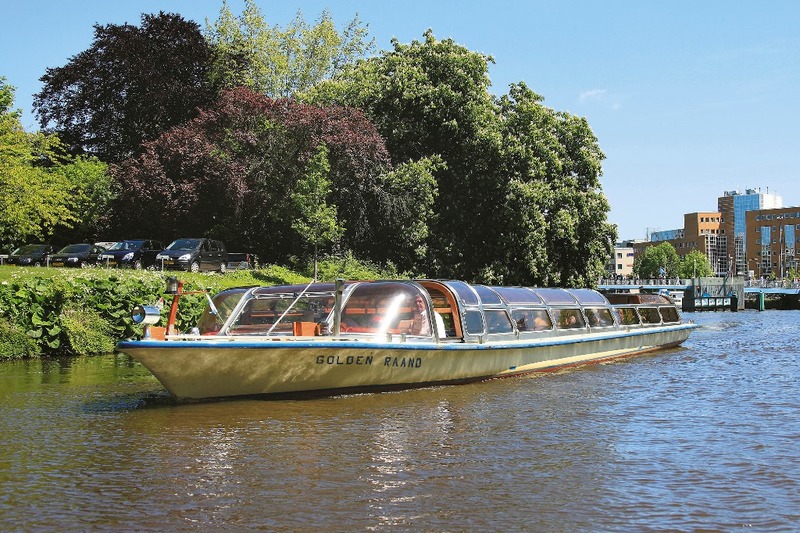 The Golden Raand is a comfortable boat, which in addition to regular tours is also used for private cruises for parties, anniversaries etc. 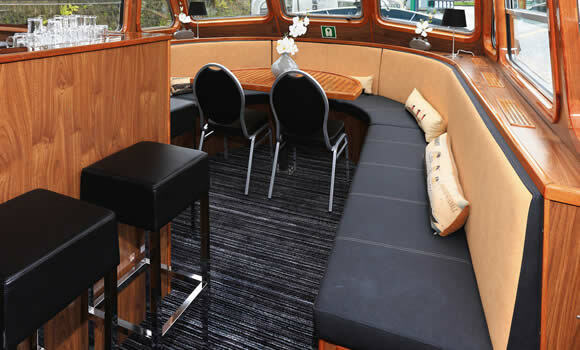 The salon is furnished with comfortable seats with tables. 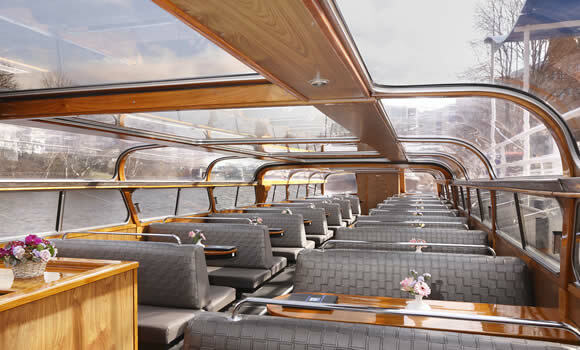 This boat is heated and has a transparent roof, half of the roof can be slid open. 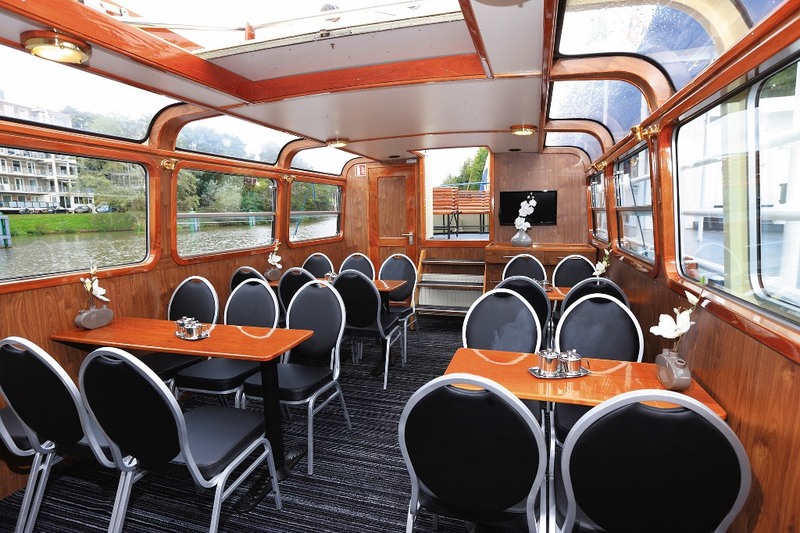 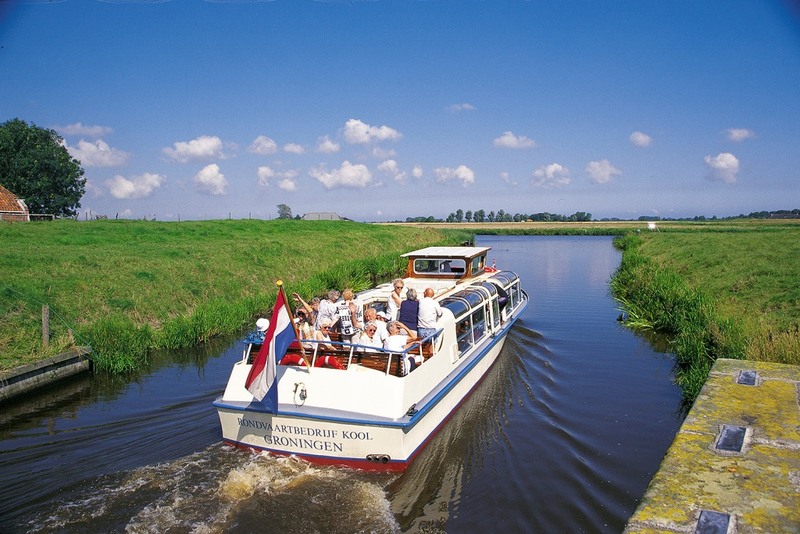 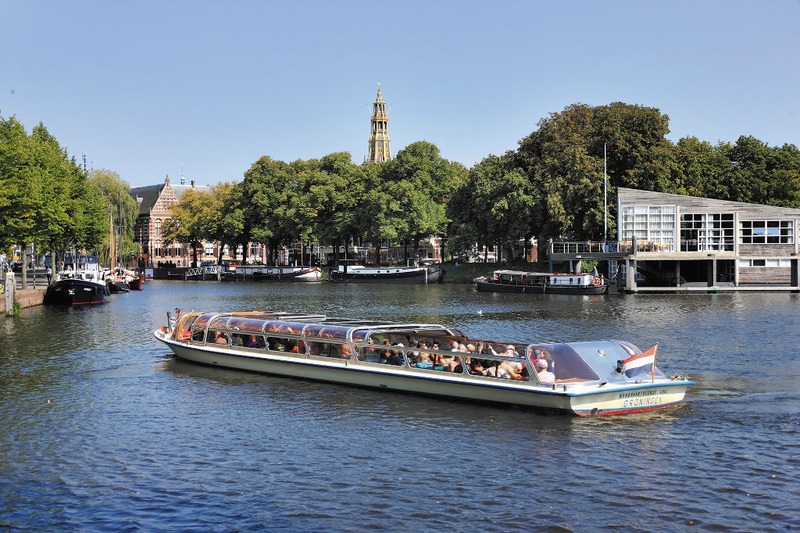 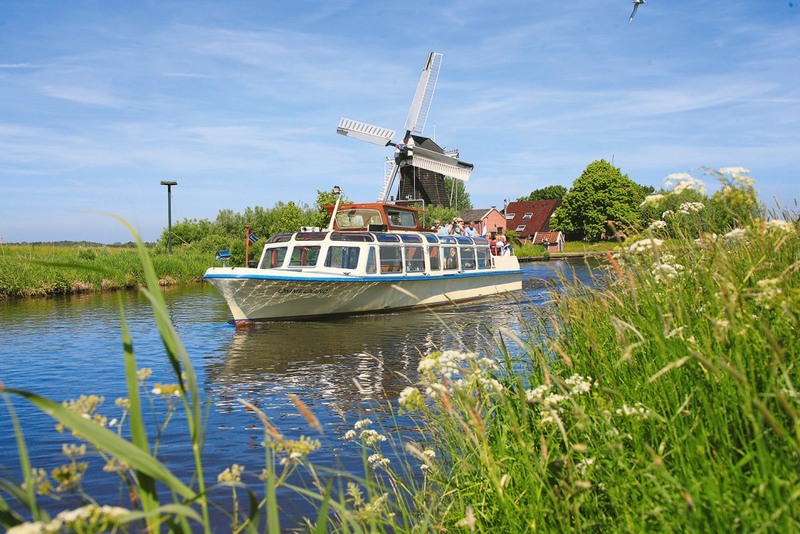 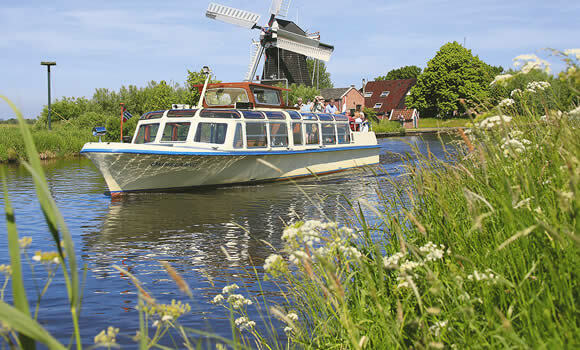 The Ommelaand is a special ship with a high wheelhouse. 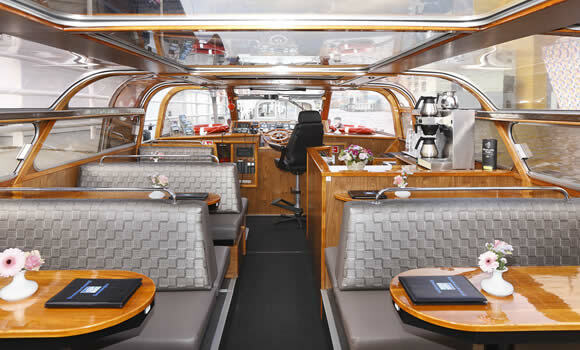 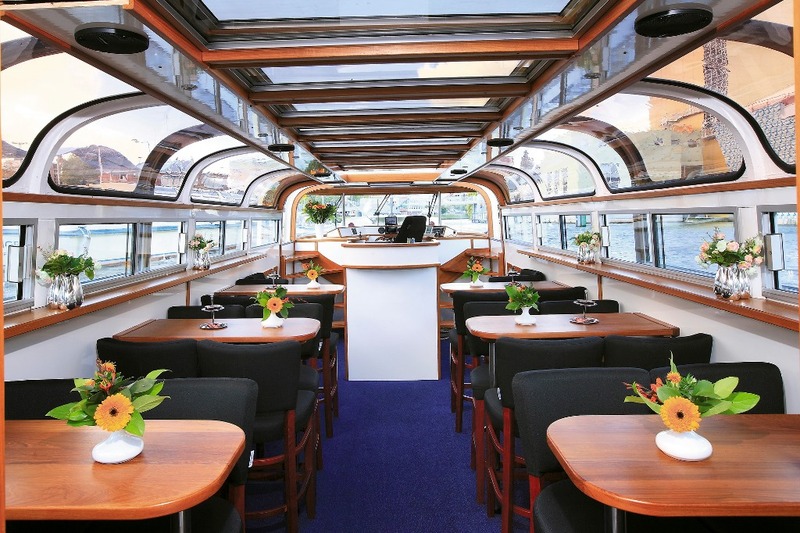 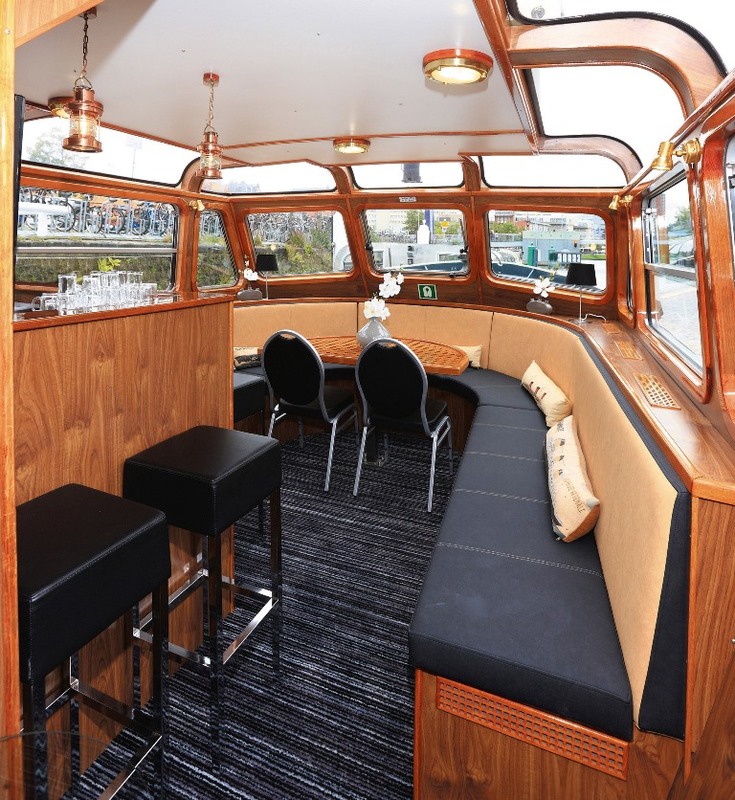 In the bow there is a cozy bar with large round seat and the salon is furnished with loose chairs and tables. 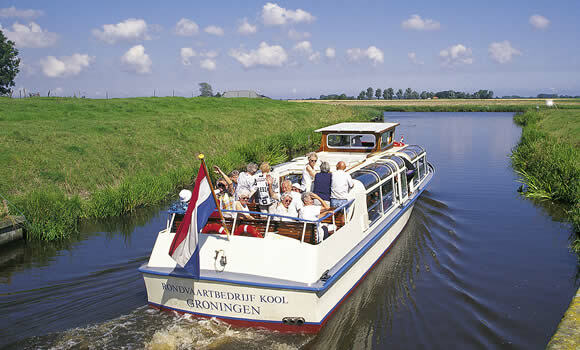 This ship is very suitable for smaller groups. 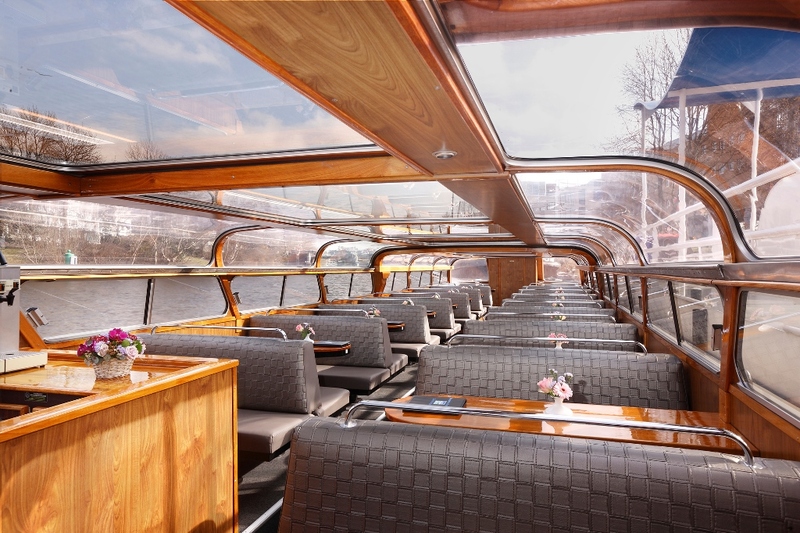 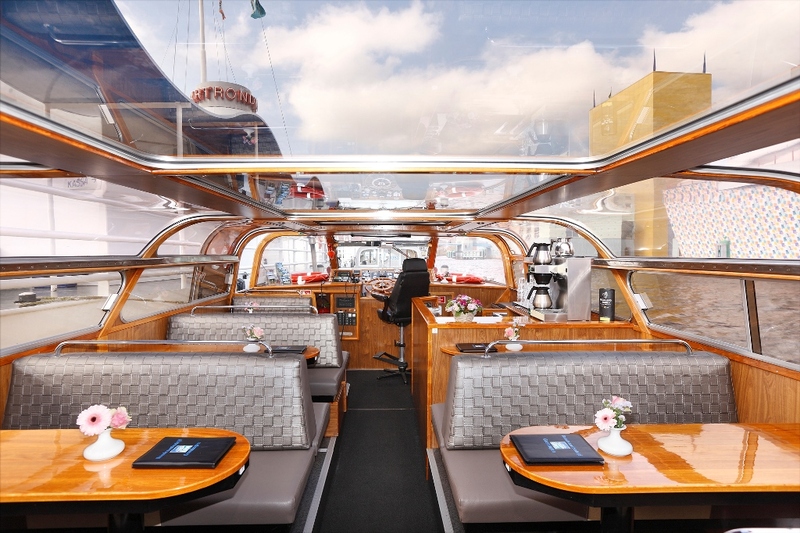 This ship has a transparent closed roof, it is heated and has an open rear deck. 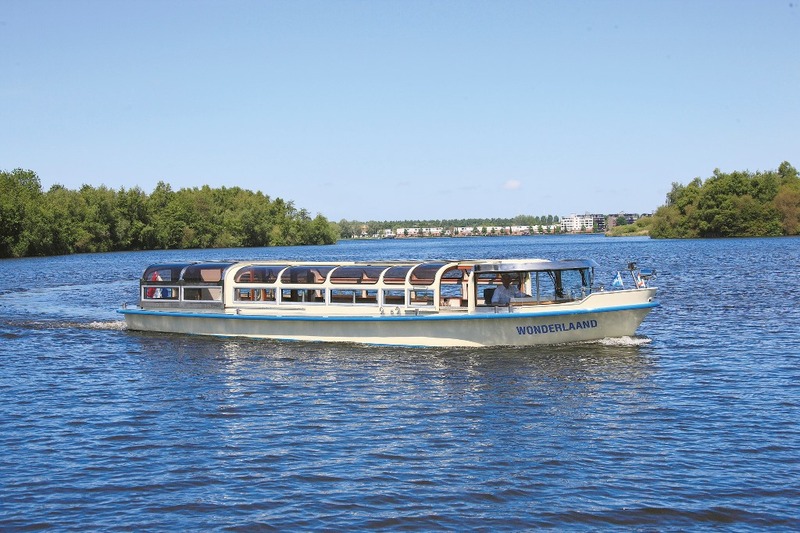 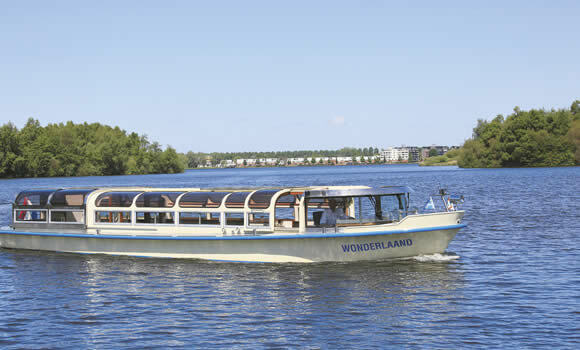 The Wonderlaand is ideal for charter trips, etc. 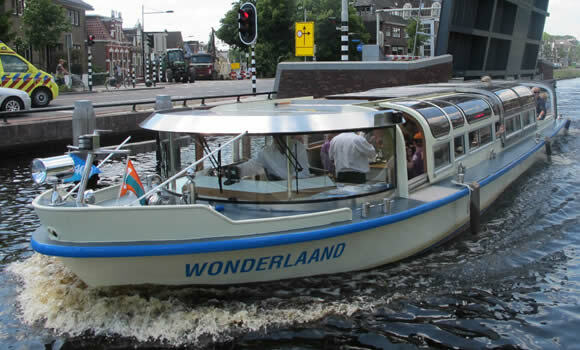 and has excellent sailing characteristics. 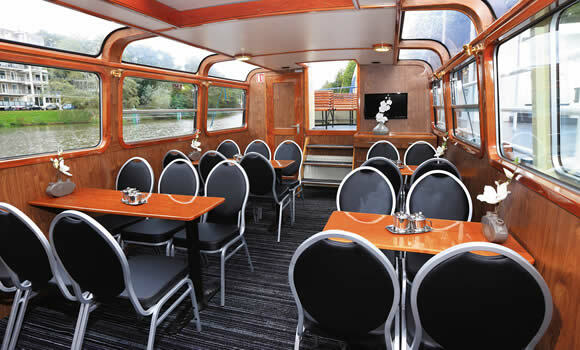 The Wonderland is pleasantly furnished with loose chairs and folding tables. 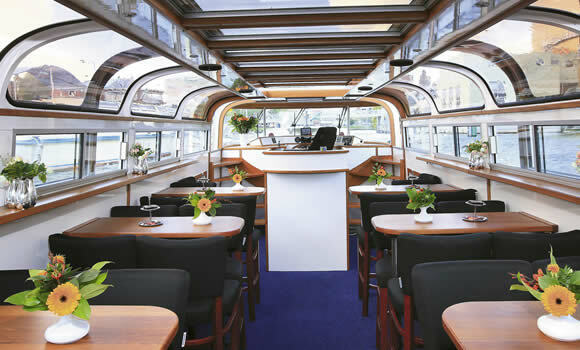 This vessel is heated and has a closed transparant roof, and a part of the roof can be shifted open. 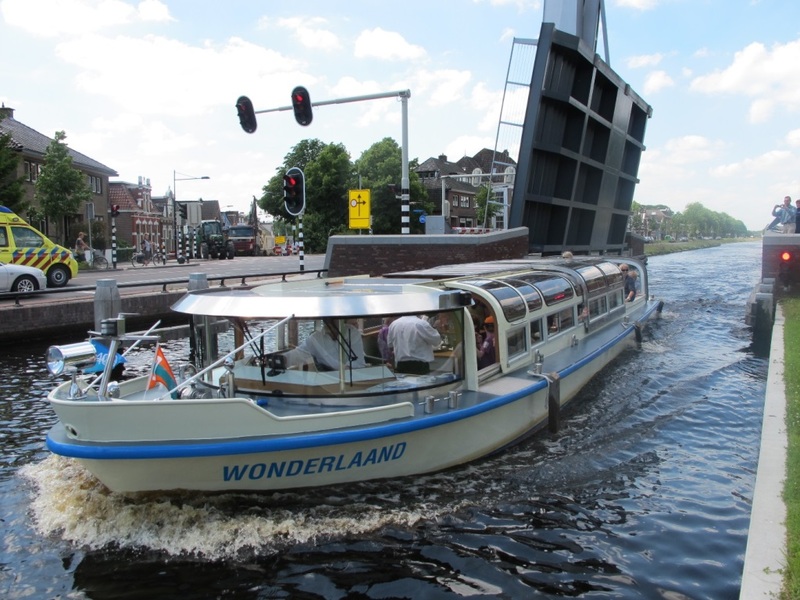 The Wonderlaand is equipped with an elevator for wheelchairs, etc. 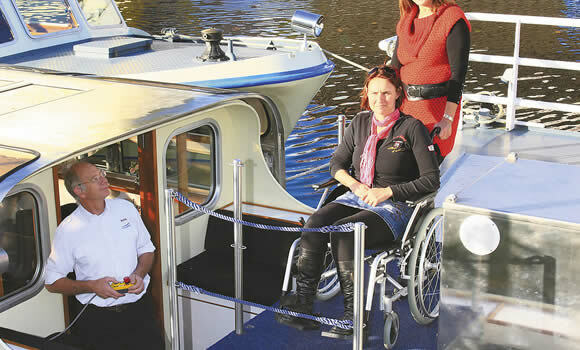 However, there is no disabled toilet on board.